We reported in Dec'15 about HDFC Bank's Chillr App getting updated and adding more banks under it's umbrella. Today, the app scored another update which would let you @tag your friends from the contact list. Chillr is your one stop solution for all your mobile banking and utility payments. Get on Chillr to witness a whole new world of money transfer, recharge, utility payments and banking along with tracking all your expenses. It offers a fresh, smooth and breezy experience. You can carry digital money in your pocket and use this multi bank app to send and receive money, split bills between a group, remind anyone to pay you back, recharge your mobile or DTH in an instant. Transfer money through a safe channel. All the transactions you make on Chillr are highly secure and are protected by using an MPIN. The technology backend is driven by: State of the art end-to-end HTTPS encryption that keep all your transactions and data highly confidential and secure. Factor authentication and 2048 encryption keys. Split Your Bills Anytime you’re out dining with your friends and you want to split bills, you can use Chillr. Chillr removes all the confusion and awkwardness related to splitting bills with cash, and makes the process seem seamless and straightforward. Utility Payments and Recharge Whether you need to recharge your mobile, DTH or data card or pay your utility Bills. You can do it all in one click using Chillr. Recharges and paying utility bills have never been this easy! Transaction Statements With using Chillr you would receive monthly transaction summaries and statements that will help you track and plan all your finances and expenses. ►We have bundled features with simplicity. Configuring and using Chillr for money transfer,recharge, Splitting Bills or for any other mobile banking need is easy. A Simple Set of Instructions are below. How to Use Chillr ? 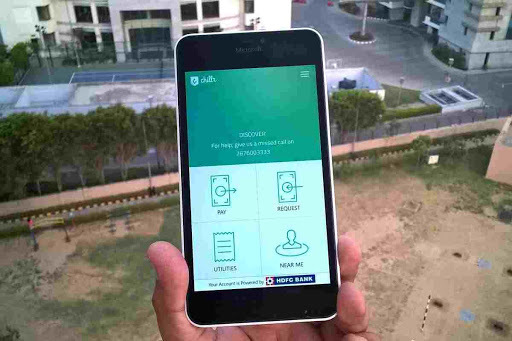 Chillr (or Chiller to pronounce it) is the simplest app to transfer money in India. Just download the app and complete registration so that you can start making payments immediately. The onetime set up makes it easy for a lifelong of transfers. To signup with Chillr, all you need to do is download the app and follow the registration process. All users would need to provide their name, mobile number and MMID. Finding MMID is easy, and it’s even easier when we guide you on every step. Which Banks Do Chillr Support? WHAT ARE THE CHARGES FOR USING CHILLR? Download the App now and let us know if you notice any more changes.